hesh.monster wrote: I know this is an older thread but I'm new to these boards so why not dig it up In reference to your brass bands (I've no idea if this is completely true) My local guy here in Iowa had one of these on the rack and claimed that he has seen a few of them through the years. He stated that they were officers rifles, given more as a type of reward for service rather than being meant for combat. I could possibly see this being true as the stock showed almost no wear and the bore was bright as the morning sun (save for the nice coating of cosmoline) which tells me it did not see much action. It was a round receiver '38 Izzy which I passed on for the 1926 Tula hex that now resides in my gun case. all had brass end caps 1939 and older. officers did not carry rifles. 1939 was also last year for sling slot escutcheons held on with 2 screws. i have a 1927 Izhevsk ex-dragoon. Here is my 1929 Tula Dragoon. She is double 'D' marked, AND double [SA] marked. 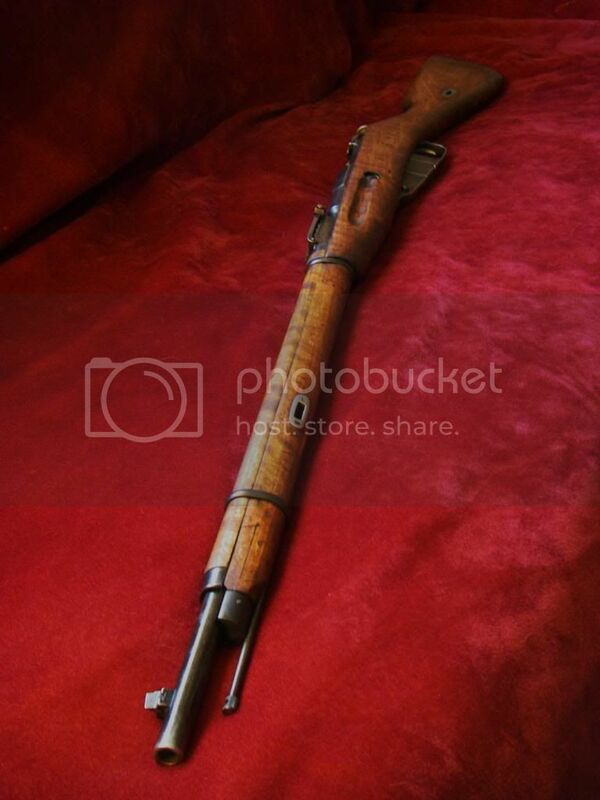 She is ALL soviet parts... even the stock, and except for the Finns replacing the originnal all wood handguard with a later one bearing steel end caps, she is how she should be. Solid barrel bands and all! She's beautiful. We need a medal for dragoon owners don't you think. I think Mark was contemplating a 'rare mosin owner' medal... an originnal Dragoon would definitely qualify. That is a Beaut!!! Nice Pic too!